If you have a tooth that has been weakened, damaged, or discolored, Dr. Jon C. Bauman might suggest that a dental crown is a good option for restoring your tooth. Dental crowns are cosmetic tooth restorations that our dentist will use to cap your damaged tooth or a dental implant. At Riverdale Dental Center, we use high-quality porcelain crowns that are designed to provide strength, protect the tooth, and restore the aesthetics of your smile. Porcelain crowns are a popular choice because they provide durability and strength while eliminating the need for metal in your mouth. 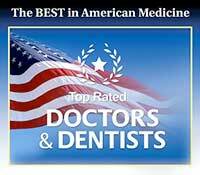 A dental crown in Brighton, Colorado, is usually completed in just two easy visits to our office. For more information about dental crowns, we invite you to contact our office today. We are eager to restore your beautiful smile!